At long last, your world has achieved the capability to explore deep space and visit distant worlds. For each new planet discovered, a new territory is brought under your banner and additional resources are given over to the cause. Expanding ever outward, your empire grows as technology improves and colonists race to claim new homes. But not all planets are barren or lifeless. Some have already been colonized by other empires and not all are peaceful. As the leader of your race, you must now make a choice. Do you continue on your conquest by peacefully trading and colonizing or do you focus more on weaponry and warfare technology? How will you claim eminent domain over the galaxy? With a peaceful olive branch or a bloodied sword? Eminent Domain from Tasty Minstrel Games is comprised of 96 Role cards (16 Produce/Trade, 20 Research, 20 Colonize, 16 Warfare, 20 Survey, and 4 Politics), 27 Planet cards (9 Advanced, 9 Fertile, and 9 Metallic), 6 Starting Planet tiles, 39 Technology cards, 35 Fighter tokens, 24 Resource tokens (representing food, water, iron, and silicon), 32 Influence tokens, 4 Player Aid tiles, and 1 central card display. All the components are of high quality, very well illustrated, durable, and a joy to play with. 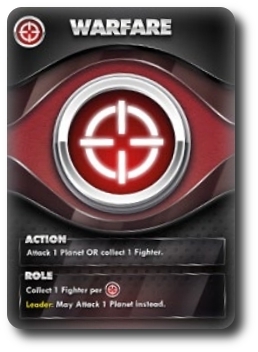 A special note of “awesome” for the Fighter tokens that are small plastic space fighters! Note: There are two game variants available that adjusts the normal game set up. See “Variants” below for more details. To set up the game, deal each player the following Role cards: 1 Political card, 1 Warfare card, 2 Colonize cards, 2 Research cards, 2 Survey cards, and 2 Product/Trade cards. These cards create the players’ starting deck which should be shuffled and placed in front of them, face-down. Place the central card display in the center of the playing area and separate the remaining Role cards into different deck types, placing them on their corresponding space, face-up, on the central card display. Remove for the duration of the game any remaining Political cards. Randomly deal each player a Starting Planet tile which remains face-down (Planet side is not shown). Remove any unused Starting Planets for the duration of the game. Randomly deal to each player a Player Aid. The player who receives the Player Aid with the “Start Player” noted on it is the first player. Remove for the duration of the game any remaining Player Aid tiles. Place the Influence tokens (24 in total) in a pile that everyone can take from, but remove the 8 differently marked Influence token at this time. They are not out of the game, but are not used as part of the game set up. Also place in a pile the Fighter tokens that can be easily reached by all the players. Lastly, separate the Technology cards into three different types (Fertile, Advanced, and Metallic). Make three different decks, one of each type, and place them next to the central card display, face-up. Once completed, the game is now ready to play! Have each player draw five cards from their deck and the Start Player begins the first round. 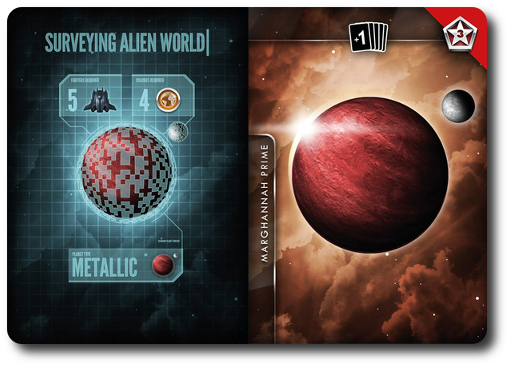 There are only three different major types of cards in Eminent Domain. These are Role, Planet, and Technology cards. Knowing what the cards provide and how they interact is essential to playing the game well. Role cards provide the player with a number of different benefits. Additionally, Role cards are used to “Boost” a selected or Followed Role card. Boosting allows you to play cards that match the same symbol chosen, increasing the effectiveness of the Role card. Once selected and played, the Role card is placed in the player’s discard pile. The one exception is the Politics Role card that is removed from the game once played. For a complete description of each of the Role cards, see the game’s official web site and read the rules. 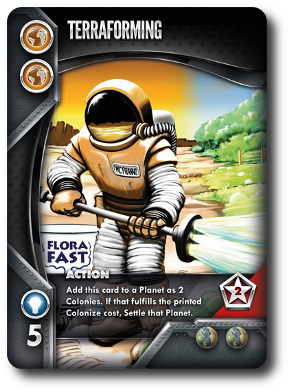 The Planet cards provide a player with influence, resources, the ability to Boost some Role cards, and sometimes increase the maximum number of cards in a player’s hand, too. A Planet is taken by the player if they use the Survey Role card, but is not yet theirs to use. The player only controls the planet after they have either conquered it using Warfare or peacefully colonized it using Colonize Role cards. Technology cards provide the player with many special benefits and are only made available through spending resources and research. Planets will provide the necessary resources and the Research Role card is used during the Role Phase to acquire a Technology card. Once acquired, it is added to the player’s discard pile or remain in play (the Technology card will specify). If the player chooses, one Role card from the player’s hand is played in front of them. The card’s action effect is then read out loud and any actions dealing with that action described are completed. Once completed, the Role card is placed in the discard pile. The player must select one of their Role cards on the central card display, place it in front of them, and resolve the card’s role effect with any Leader bonuses that might also be included. If there are no more Role cards left in that stack, use the information on the central card display instead. 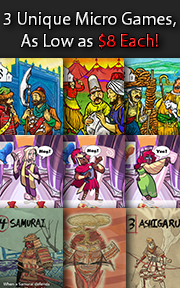 Now each player, in turn order, may choose to “Dissent” and draw 1 Role card from the central card display of their choice or “Follow” and make use of the drawn Role card’s effect, but not the Leader bonuses. Once all the players have decided to Dissent or Follow, all players place any played cards in their discard piles except those cards that are being used as colonies. The player whose turn it is may also discard any cards in their hand they do not want at this time. The player then draws back up to their hand size limit. Note that none of the other players can discard or draw cards during this phase. It is now the next player’s turn, starting with the optional Action Phase. The game continues until one of two conditions are met. Once the endgame is triggered, players have one last turn to ensure that every player has had an equal number of turns. 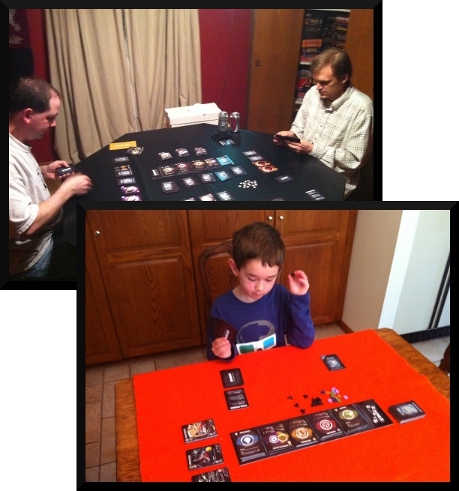 After the last turn, all players count their Influence tokens, Technology cards, and face-up Planet cards. The player with the most Influence points wins the game. In the event of a tie, Fighter tokens and Resource tokens are counted and added to the total to determine the winner. Learning Game: Set up and play the game as normal, but remove the Technology cards and 3 Advanced Planets with research icons from the game. Additionally, take the Research cards and place them, face-down, on the central card display. They will not be used during this game. In future games, add back in Level 1 Technology cards, followed by 2 and 3. This reduces the game’s overall learning curve. Extended 3-Player Game: This variant extends the game length. During game set up, remove 2 cards from each Role except for Warfare which only has 1 card removed. Play the game as normal until the Influence tokens are exhausted or 2 stacks of Role cards are depleted. 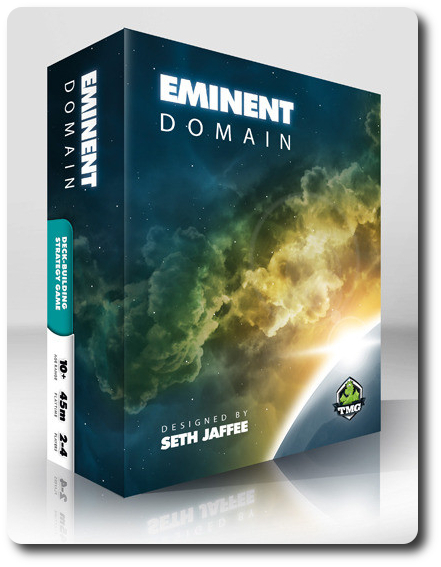 To learn more about Eminent Domain and read the complete rules, see the game’s official web site. Deck-building strategy games are something of a “new frontier” for my little geeks. We have dabbled with Dominion and they enjoy playing Pokemon and the soon to be released Shadow Days, but our games have always been very light and exceedingly casual. 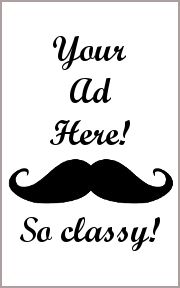 And by “casual”, I mean rules light. Eminent Domain is already rules light, but there is a layer of complexity that cannot be avoided due in part to the Role cards. These drive everything in the game and can be tricky for little geek minds to wrap around. This is especially true when we consider that the Role cards can be used for multiple things in multiple ways. For this reason, I don’t think the game will be much of a hit with my 4-year-old and is out of his reach at the moment. When I pitched the game to my little geeks, as expected my 4-year-old bowed out. My 7-year-old pulled his chair up to the table and I taught him the game. We used the “Learning Game” variant and I highly suggest you do the same with your little geeks. Removing the Technology cards reduced how much my little geek had to remember and to focus on. If you are concerned that removing the Technology cards will reduce the game to something simple and mind numbing, put those fears aside. There is more than enough game left to learn and to enjoy. Teaching the game is not all that difficult if you just focus on the three phases. We spent the most time working through the Role phase that involves everyone at the table. The Action phase and Cleanup phase are very straightforward and didn’t take any more than a brief word and a few examples until my little geek understood what was needed. We spent a good 15 minutes talking through the Role cards as I wanted to make sure he understood how they worked. Once he felt satisfied, I was satisfied and I set the game up for our first play using the “Learning Game” variant rules. As I did so, I asked my little geek his thoughts on the game so far. Very good! He has already recognized that the game only requires the player to do one thing at a time instead of considering a galaxy of possibilities (excuse the pun). Eminent Domain was met with mixed emotions from all three of our test groups. Child Geeks enjoyed it, but their level of tolerance for the game started to wane about 30 minutes into it. Not a big issues as the game itself only lasts about 45 minutes. The game also proved to be challenging but not impossible. I had to remind my little geek several times what Role cards did and he spent most of his time on his turn reading and re-reading cards before he played. But he did play and he played the game well. At age 7, he was able to understand all that was needed and was able to play the game on his own. Parent geeks enjoyed the game and thought it was a great way to spend the evening. They found the game to be engaging and fairly rules light with enough diverse actions to keep everyone thinking and engaged at the table. The Gamer Geeks thought the same, but a few thought the Role cards were too limiting, the game lacked diversity, and there was not enough player interaction. In regards to the statement about the Role cards being limited, well, I cannot disagree in full. The Role cards provide one action the player’s can take and that’s it. For those players who love games where they can chain cards together to create combos, Eminent Domain will fall short. Likewise, player interaction is almost zero. You cannot attack another player or trade with them. Eminent Domain is a race game, not a battle. For many this won’t be an issue and for the Parent Geek crowd, it was never a concern. At most, player interaction is done during the Role phase where players can choose to “Follow” another player’s lead. I personally question of the game’s diversity and longevity, too. The game is complete and very playable, but you don’t have to play it many times before you start seeing the same thing over and over again. For many gamers, this turns them off and they go seek new experiences to entertain them. Of course, this can easily be addressed with a game expansions or two, but don’t go buying this game thinking you’re set for life. You will find that the different paths to victory, random Planet draws, and the play style of other characters will give you a new challenge each game, but the game itself is limited in ways to go about it. Unlike Dominion, which is always randomized, there is limited randomization in Eminent Domain which means players will become quickly familiar with the set up, what’s possible, and how to go about winning. Not a bad thing, just something to make a note of. Eminent Domain proved to be fun for everyone! Gamer Geeks, this is a light but very versatile game that allows you to play a number of different ways and provides the ability to shift your tactics and strategy throughout. Since there is a great deal of information visible on the table, reading your opponent will not be difficult and you will be able to create your own deck to meet your needs. In many respects, this is a classic deck-building game, but it has the benefit of learning from the experience of other deck-building games that came before it. The game is smooth, transitions easily from one phase to another, and from player to player. Excellent game that will make you think but not burn your brain. Parent Geeks, this is a very entertaining and challenging game to bring to the family table. The lack of combat and “attacking” other players is replaced by a race element that pushes each player to build their own deck and come up with their own method of winning as productively as possible. This allows everyone at the table to approach the game in their own way and accommodates just about every play style you can think of. The game is also light enough to teach to non-gamers, but reducing the Technology cards is suggested for new players not familiar with deck-building games. Child Geeks, this is a great game of galactic conquest! There is so much to do but the game makes it easy to choose what you should do next by reducing the complexity by putting five possible choices in front of you. As you play the game, you can reduce that number of choices by building your empire and constructing your own deck to do exactly what you want. The end result is a game you get to “build” and play using your style and personal preference. I am very pleased with Eminent Domain and believe it will be a game requested by family and friends for a good long time. On a personal note, I have always enjoyed deck-building games because I feel like I am building a machine of sorts. I find it very challenging and terribly rewarding when I am able to construct a deck that consistently lets me be as productive as possible during my turn. That being said, Eminent Domain is not a game that can be played by a player who likes to be the “Jack of All Trades”. I’m telling you right now it simply won’t work. At most, a player should focus on no more than 3 Roles and shift in between them as needed. The fun is choosing which three and reading the other players to attempt to figure out what they are doing, too. Do seek out and give Eminent Domain a try as soon as possible.